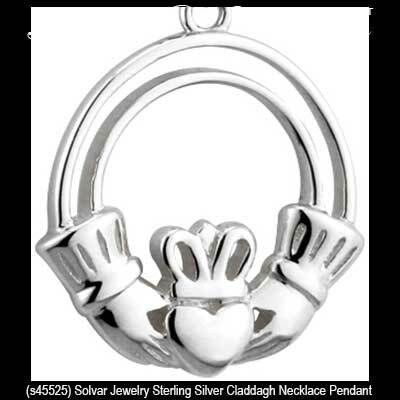 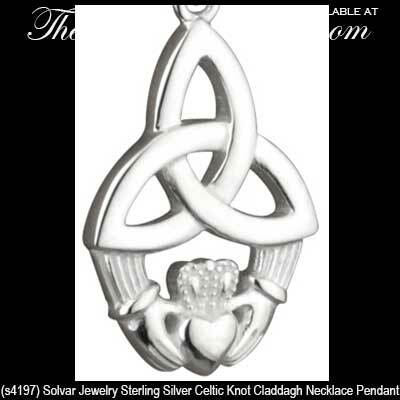 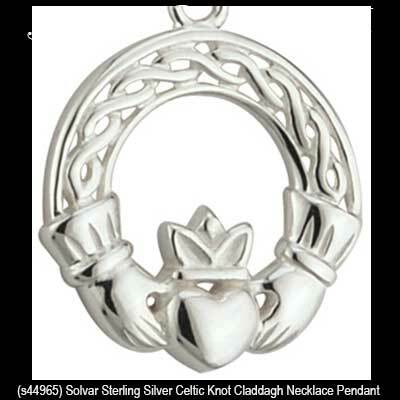 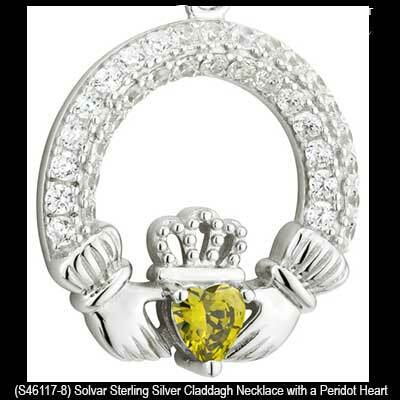 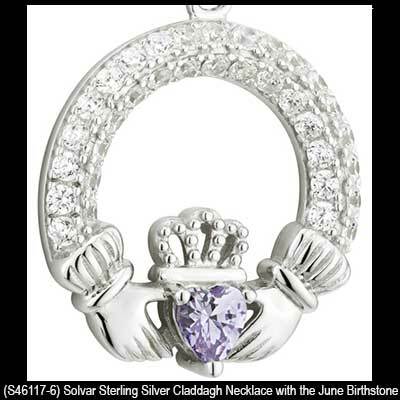 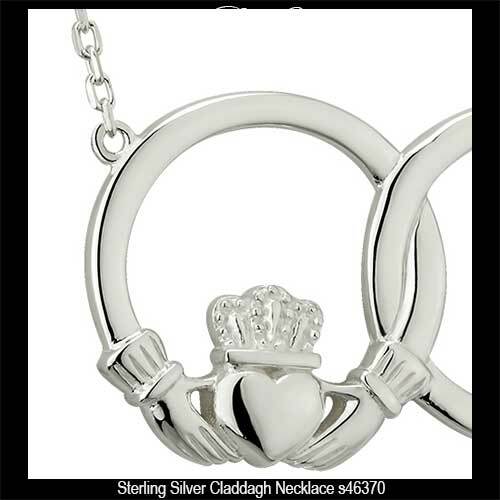 Claddagh necklace is crafted in sterling silver and features an interlocking circle. 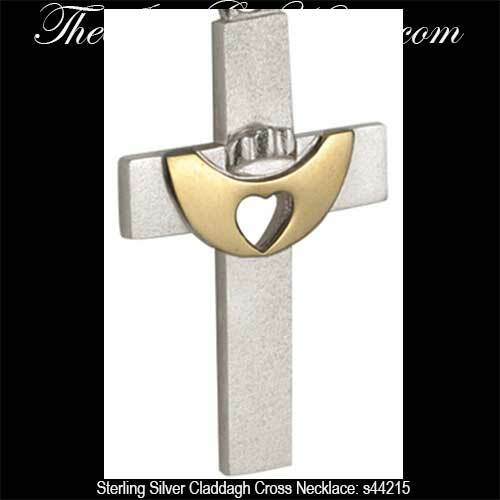 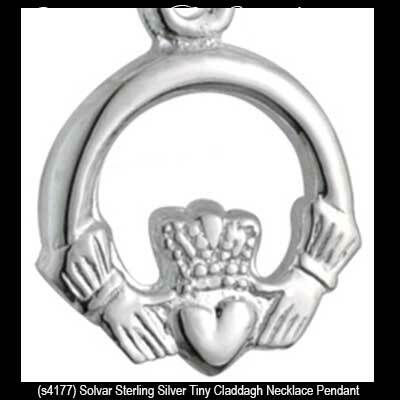 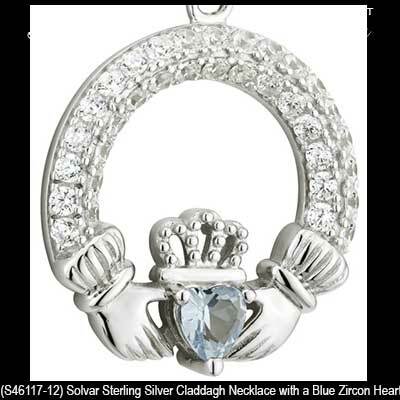 Small sterling silver Claddagh necklace features a traditional design. 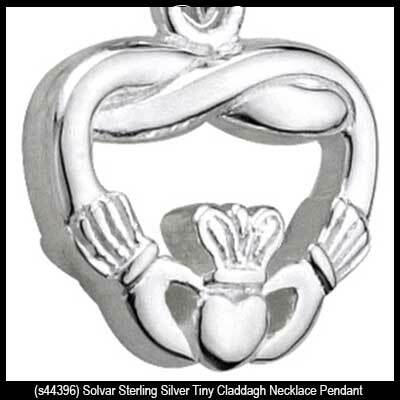 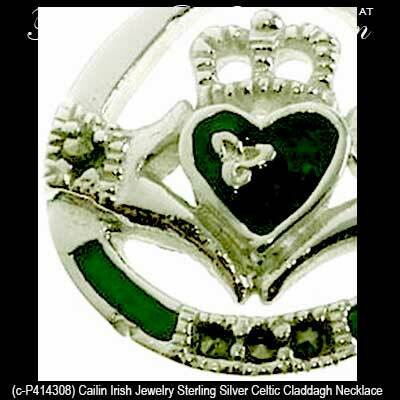 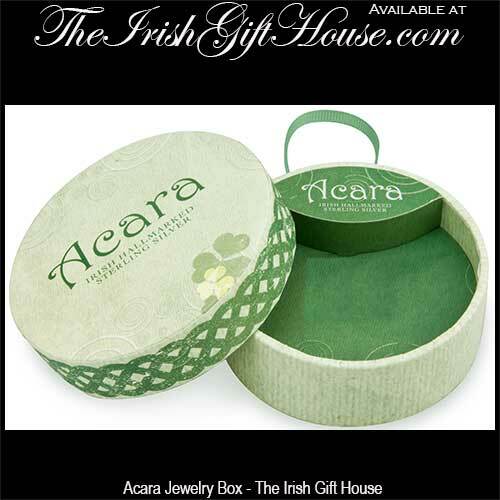 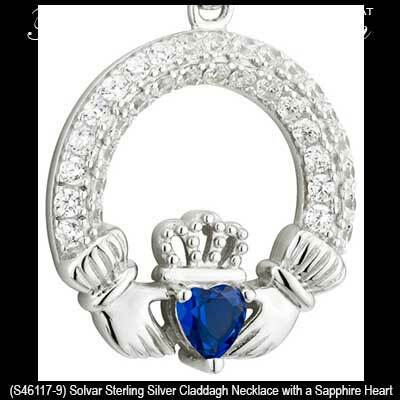 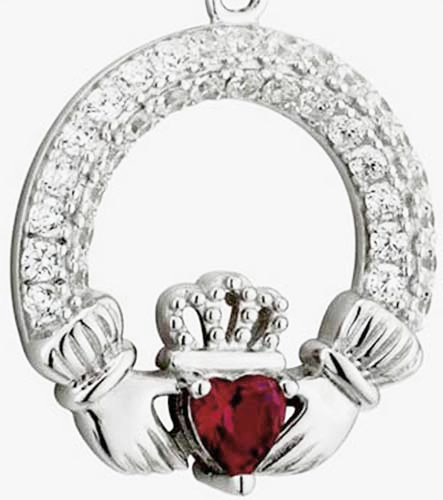 This small sterling silver Claddagh pendant features a weave design between the shoulders. 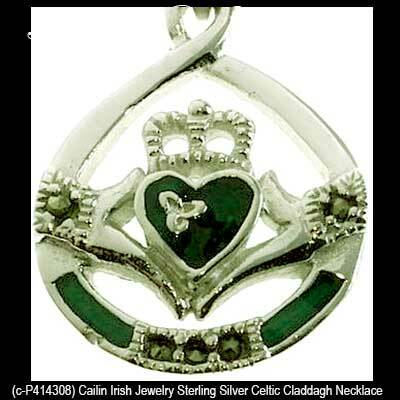 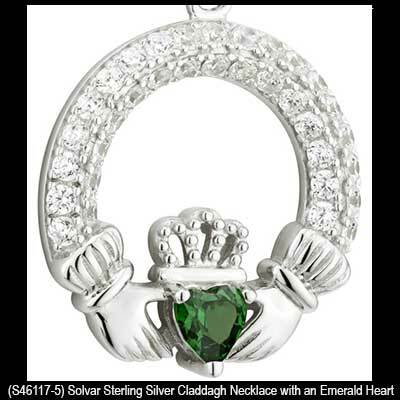 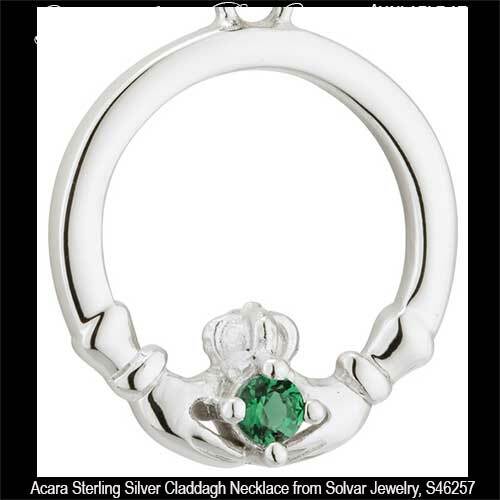 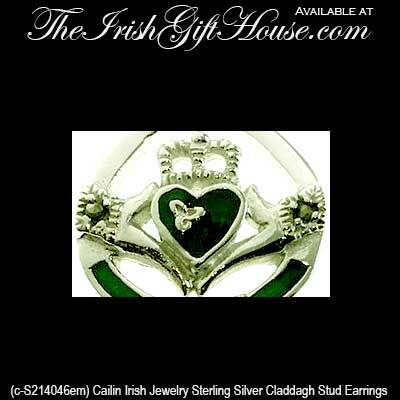 Sterling silver Claddagh necklace is enhanced with an emerald green glass heart.